Caatinga is a semi-arid vegetation that is restricted to the Brazilian territory and has a large endemic biodiversity. Around 50% of its original vegetation cover remains still relatively intact despite the large human population density and high deforestation rates (MMA 2011). Nowadays, the Caatinga is poorly represented in the Brazilian Conservation Area network with only 1% in Integral Protection Conservation Areas and 6% in Sustainable Use Conservation Areas. Therefore, we have now an opportunity window to increase the protection level of the Caatinga biodiversity through the establishment of new Conservation Areas. 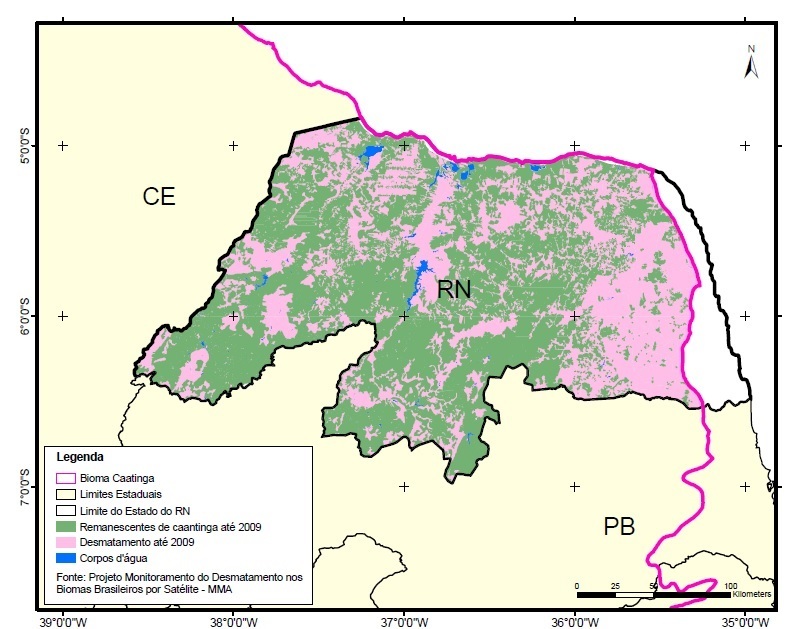 The Project “Opportunities for the Creation of Conservation Areas in the Caatinga,with emphasis in the Rio Grande do Norte”, a partnership between the Federal University of Rio Grande do Norte (UFRN) and the Wildlife Conservation Society(WCS Brasil), was designed to create a database that can help decision makers to select better and more efficient targets for conservation but minimizing the socio-economic costs. The Project includes, among other activities, a large-scale effort to raise quantitative information about the Rio Grande do Norte biodiversity, in particular, looking at the occurrence, richness, and species composition of lizards, birds, and medium and large mammals. The project is fully supported by the Tropical Forest Conservation Act (TFCA), an international agreement between the governments of USA and Brazil, and the resources are administered by the Fundo Brasileiro para a Biodiversidade (FUNBIO) which is supporting dozens of conservation actions throughout Brazil. The design of optimal conservation area networks is a constant quest. In 2007, the Ministry of Environment (MMA) indicated 94 priority areas for the establishment of new Conservation Areas for the Caatinga Biome. However, it is expected that such proposal will be drastically reviewed since new deforestation and land use data became available in 2011 and new biodiversity data are being continuously updated. Nowadays, the Rio Grande do Norte State has 45% of its original Caatinga cover already removed with a mean annual deforestation rate of 0.68% (2002 – 2008) (see below map of the forest remnants). Furthermore, the area under permanent legal protection is roughly1%. The main aim of the project, therefore, is to identify, define spatially, and characterize the real opportunities for the creation of new conservation areas in the Rio Grande do Norte. In order to accomplish that, a multi-disciplinary time will gather information about landscape integrity, biotic integrity,socio-ecological resilience, and local threats. Data will be obtained on the World Wide Web, scientific literature, field trips, and participated interviews with the social actors. Useful information for the creation of new conservation areas will be make available to environmental organs and decision makers. 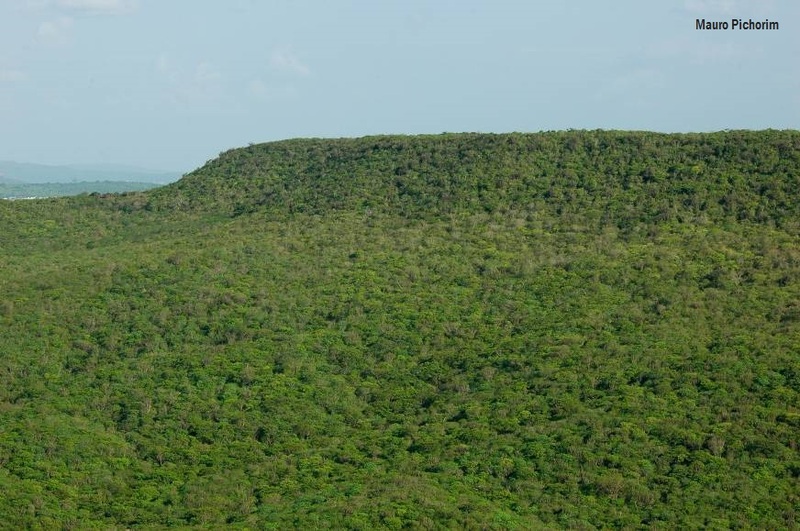 To evaluate the advances in the network of protected areas in the Caatinga Biome, considering the priority areas recommended by the Ministry of Environment for the creation of new Conservation Areas in the Rio Grande do Norte (MMA, Portaria no09 de 23/01/2007). To characterize the socio-environmental context of the Caatinga from the Rio Grande do Norte. To identify the real opportunities of Caatinga conservation in the Rio Grande do Norte. To evaluate in situ the biotic integrity of the areas identified as real opportunities for the creation of Conservation Areas, lizards, birds, and medium and large mammals as indicators. To carry out participatory mapping of the use and occupation of the areas identified as real opportunities for the creation of Conservation Areas and to evaluate the local socio-ecological resilience. To produce and publicize thebibliography and geographic digital bases to support the public policy for thecreation of new Conservation Areas in the Rio Grande do Norte​.